Brother, can you spare an invisibility cloak? SCOTIA, N.Y. — If only the real Harry Potter could escape the muggle world for Hogwarts or locate an invisibility cloak. Harry "Skip" Potter of Scotia, N.Y., said having the same name as a fictional wizard hero is "a real pain in the neck." Whenever a new "Harry Potter" film is released his phone rings off the hook -- most of the late-night calls are from college students who have been drinking. Potter, who works for the postal service, has gotten so many prank calls over the years, he has taken several of the callers to court for aggravated harassment. None of the cases ended in his favor. He's also reluctant to have his number unlisted. and garnered a worldwide total of $104 million on opening day alone. 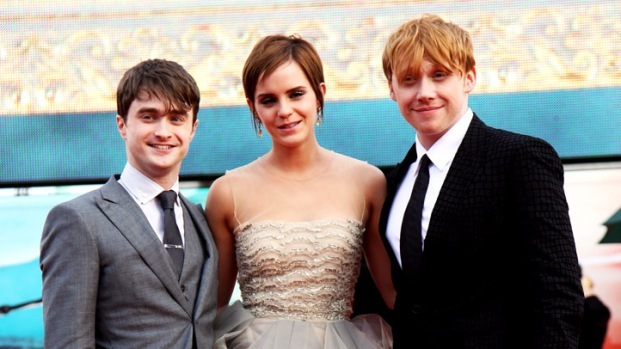 That was great news for distributor Warner Bros.
For Harry Potter, not so much.